JAKARTA: Former prime minister Tun Dr Mahathir Mohamad should allow the present government under Datuk Seri Najib Razak to do its job in managing the country for the benefit of the people. Deputy Prime Minister Tan Sri Muhyiddin Yassin said Tun M, as an elder statesman and respected figure, should understand how the system worked. "When he was prime minister, not everyone agreed with his policies and plans. And now, what the present government is doing might not be acceptable to him. "Yes, there are differences in opinions, but, allow the government of the day to do our job which we feel will bring benefit for the people. "Let us carry on with our economic transformation programmes, reforms and subsidy rationalisation, BR1M - all which are being done for the people, to improve and upgrade their socio-economic status. "Tun M may not agree with the plans, but all of them have impact," he told a press conference here, after delivering his keynote address at the Preachers and Clerics Muzakarah. 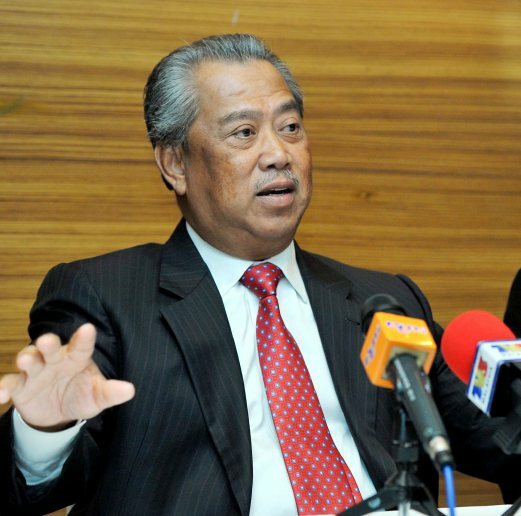 Muhyiddin said he viewed Tun M's criticism of Najib as serious. "When he questioned Najib's leadership, the 1MDB issue and some personal matters, I agree that Najib should explain to the people so that they don't have a negative impression of Najib and his government. Be fair to the people. Explain to them. Najib is in a position to explain to the people. I also feel Najib should meet and speak with Tun and clear the air. Just as a son should meet his father, so should Najib. I believe Tun M would be willing to listen." Muhyiddin said the Tun M issue should not be prolonged as it would put the government in a bad light.